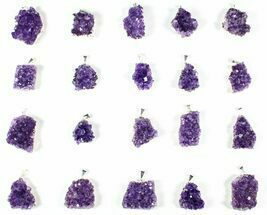 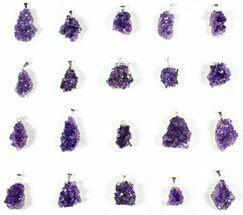 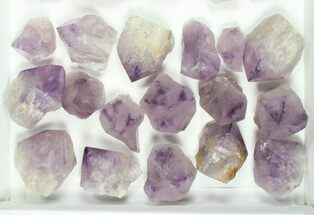 This is a wholesale lot of 20 druzy amethyst pieces with pendant findings in place. 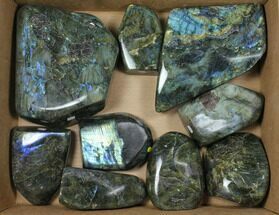 They range in size from just over .5" to nearly 2". 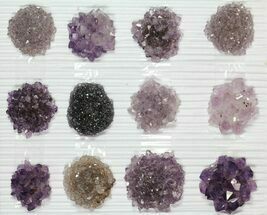 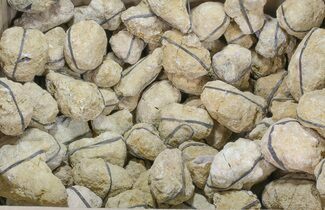 These gorgeous pieces are from geodes mined from hard rock near Artigas, Uruguay. 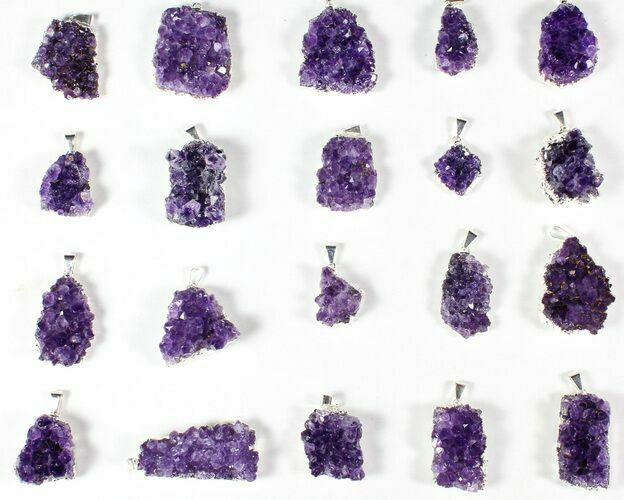 With 20 pieces in this lot, that comes out to $9 per piece.